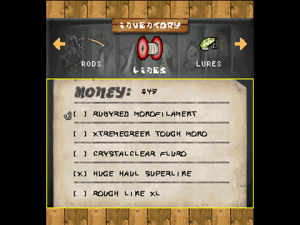 Fish for glory in fishing tournaments, or relax on the lake in free fish mode. Use your personal fishing style with different equipment and lake locations to catch the biggest fish. Attempt seven different pro challenges to unlock advanced gear and secret sweet spots on the lake. Earn cash and upgrade your gear so you can tackle the biggest fighter of all: Brassie, the fish they call a legend.